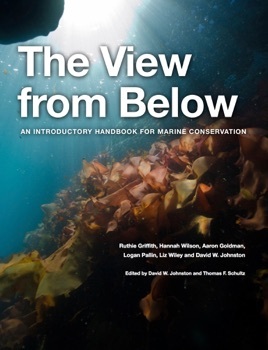 The View From Below is an evolving, introductory textbook for advanced middle school students (and their teachers) that addresses several major issues in marine conservation in a compelling and interactive way. 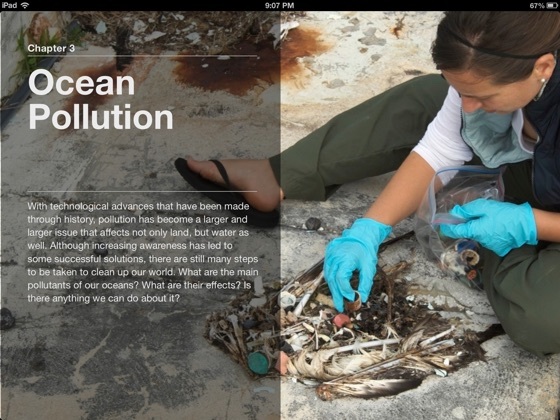 Using great multimedia and classroom exercises and deployed on a iPad, The View From Below can be used to help teach students about the basics of marine conservation, as well as specific issues such as overfishing, marine debris, climate change and invasive species. 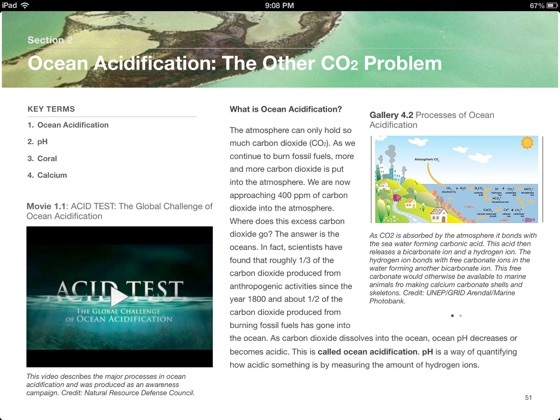 Each chapter is accompanied by a classroom activity that demonstrates key concepts in an engaging way, as well as a self-navigated review quiz that helps students assess their comprehension of chapter materials. The View From Below is written by undergraduate students enrolled in the Marine Conservation/Service Learning class at the Duke University Marine Laboratory. 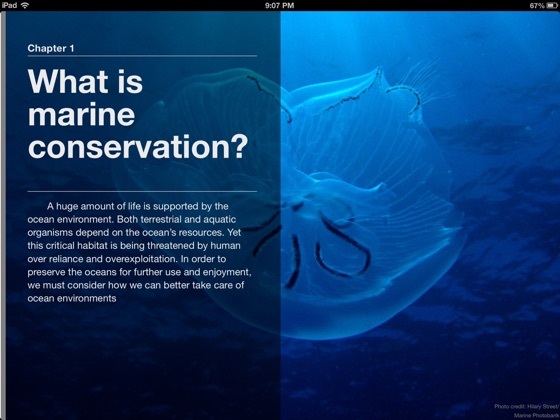 Each year the class is offered, students are required to author a new chapter for the text, resulting in an ever evolving resource for teaching marine conservation biology.